As a reminder: colorectal screening saves lives. A lot of them – and more screening needs to be done. CRC is 100% preventable when it is caught at the polyp stage. CRC has a very high cure rate when caught at an early stage! I’ll pound my fist one more time: colorectal screening saves lives! These shirts promote that medical fact. 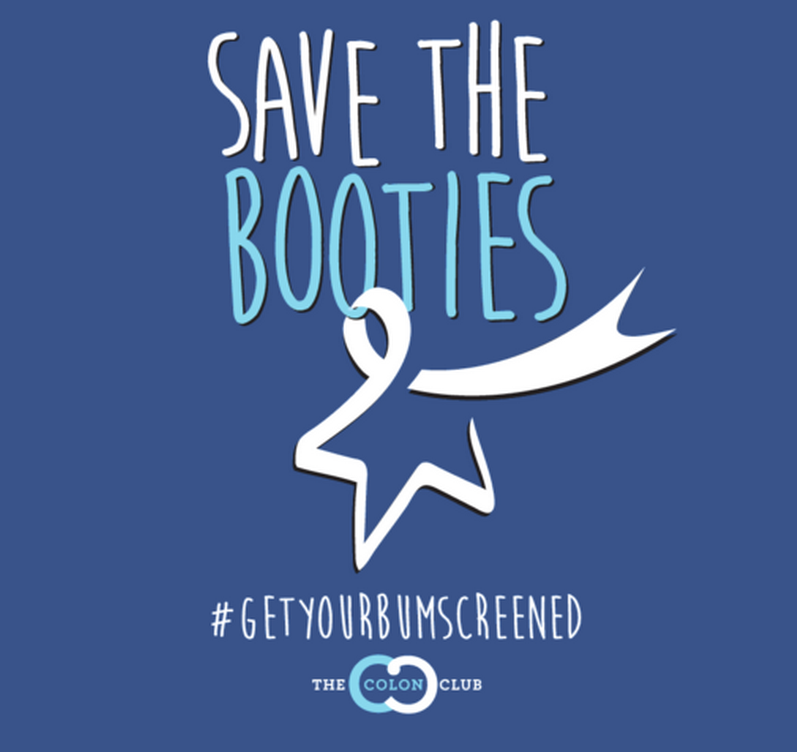 After a very successful launch in the Northwest by my good friend and “fellow model” Katie Lee – I’m now excited to further expand the latest fashion craze to Southern California and anywhere else you happen to live to promote CRC screening and support my favorite CRC charity “The Colon Club”. 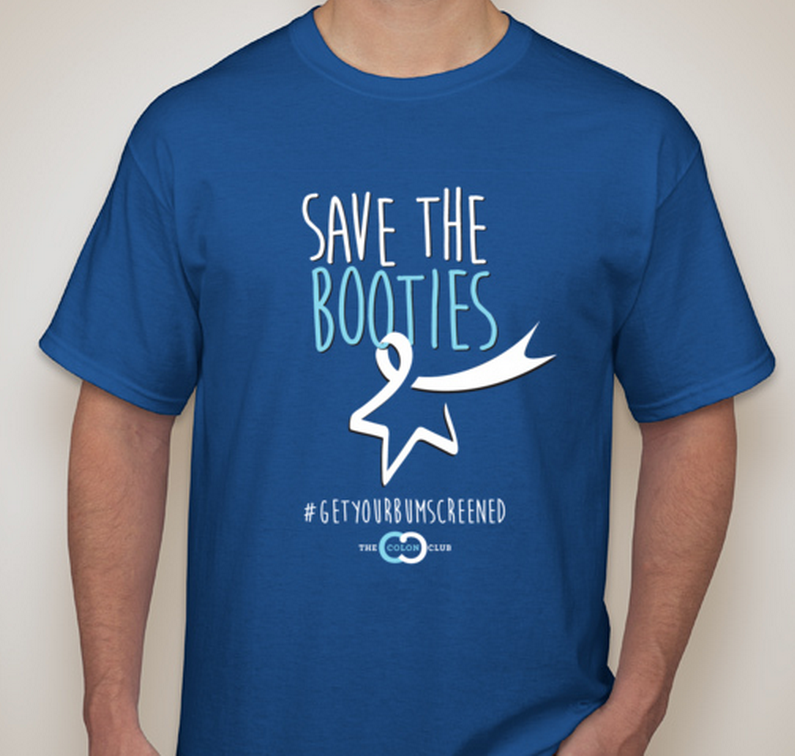 These very cool shirts promote Colorectal Screening on the front. 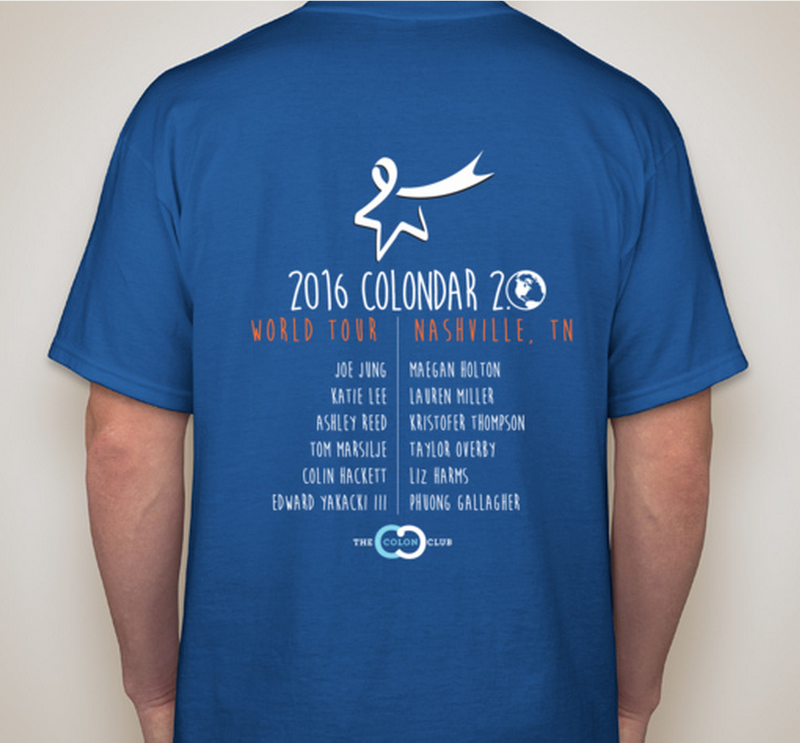 As a memento of our Colon Camp experience, the back lists the twelve 2016-Colondar 2.0 National Spokespeople for early-onset CRC in an awesome concert T-shirt design. As one of the lucky “Rock Stars”, I’m happy to autograph if it desired – if that would hurt sales haha I won’t! The shirts are available in a wide range of adult & kid sizes for $25 each. A minimum number of orders (30) need to be taken before printing can occur. All net proceeds will go towards The Colon Club. Please consider buying a shirt for a great cause. This is my third & final planned fundraiser for the Colon Club this summer! The link to the order page is here. If you are local, you can save shipping cost by choosing to have them shipped to me – I’ll then hand deliver once they arrive! Thank you for your support – To Life!